Recently all my boys went camping with the guys from church. That left an opportunity to have a date with Canon to the pet store. 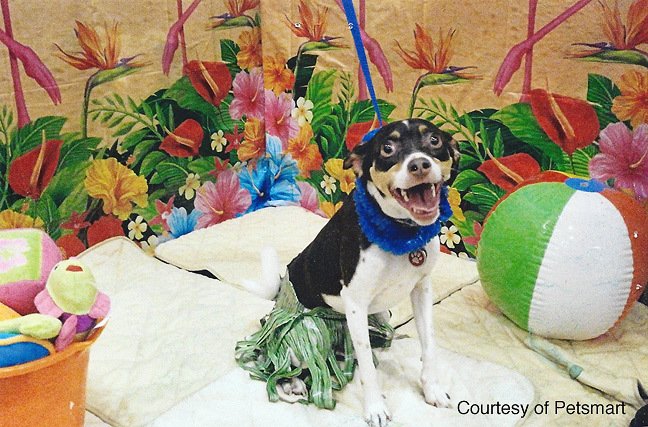 While there they were kicking off the summer with a beach theme and complimentary pet photos. It appears that even our dog can smile on command!